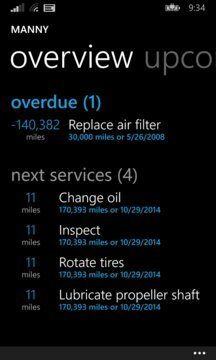 Auto Assistant lets you track your car's fuel consumption, maintenance records, and upcoming services. ONLY MILES/GALLONS UNITS ARE SUPPORTED RIGHT NOW. Automatically see when your next oil change is due thanks to Auto Assistant's intelligent maintenance schedule calculations! 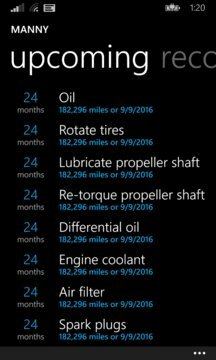 Auto Assistant is provided for free, developed by Andrew Bares since he needed a decent app to track his vehicle's maintenance.